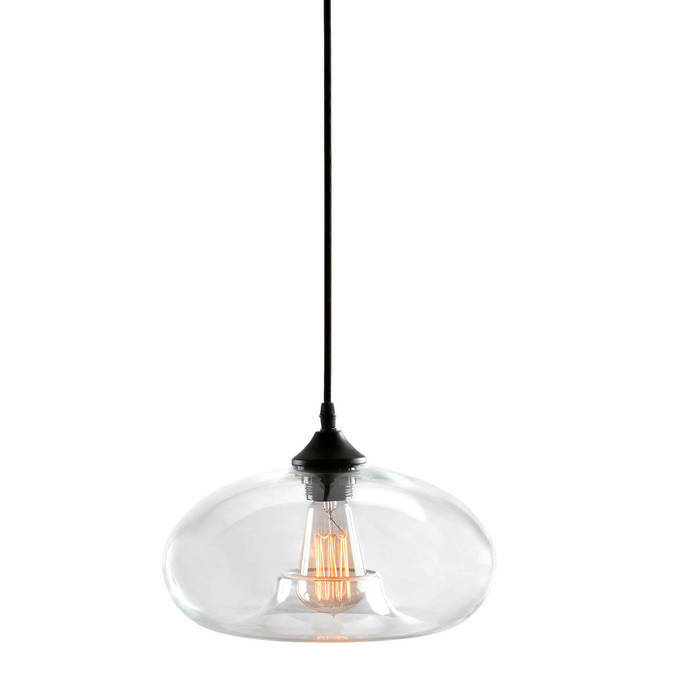 There are only 25 available of the Greenwood Pendant with Clear Glass. Your selected quantity has been adjusted. 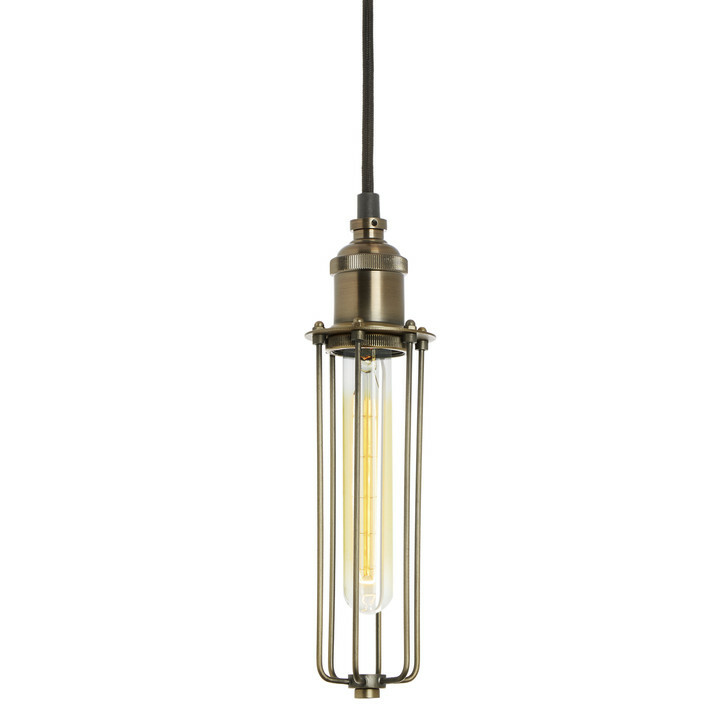 Our Greenwood Pendant features a pared-down silhouette consisting of a simple cast iron frame and prominent, hand blown glass shade, reminiscent of turn of the century industrial fixtures. 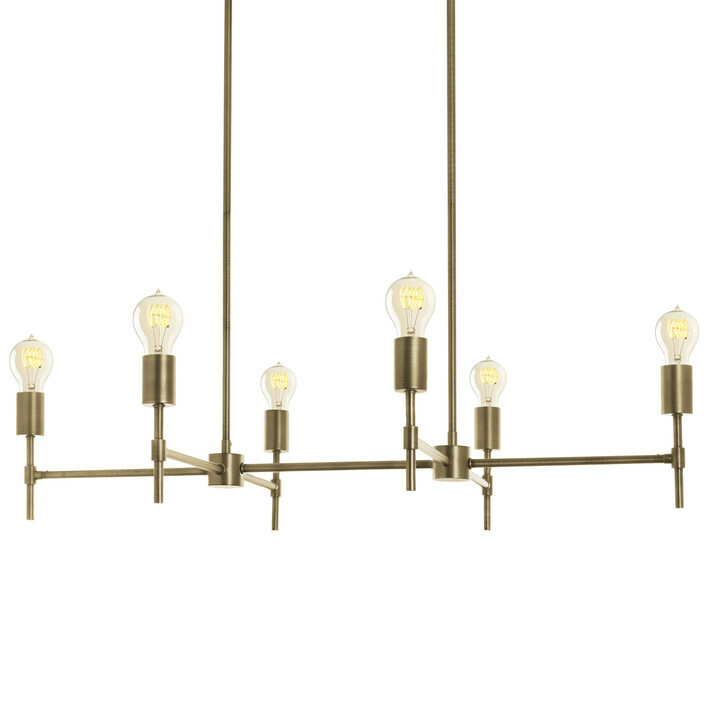 Ideal suspended above a small dining table or doubled up over a kitchen island. such a classy simple look. Really like it. when it was first installed it looked off-kilter but it evened out overnight as the cord straightened with the weight of the shade pulling on it. Very elegant light. Adds beautiful decor to the room. Love it! Easy to install, looks elegant & timeless. Perfect addition to hang over an island. Contemporary with a mid-century flair. Beautifully blown glass. Don't forget to buy the bulbs from lights.com to complete the look. Can an LED lamp be installed in this pendant fixture? LEDs are a great choice for the Greenwood pendant light. Check out our full selection of vinitage-inspired LED lamps (bulbs). Is this product okay to use in bathrooms? The Greenwood Pendant is rated as "dry-located" so it shouldn't be installed in damp rooms like bathrooms. Can it accommodate more than a 40 watt bulb? 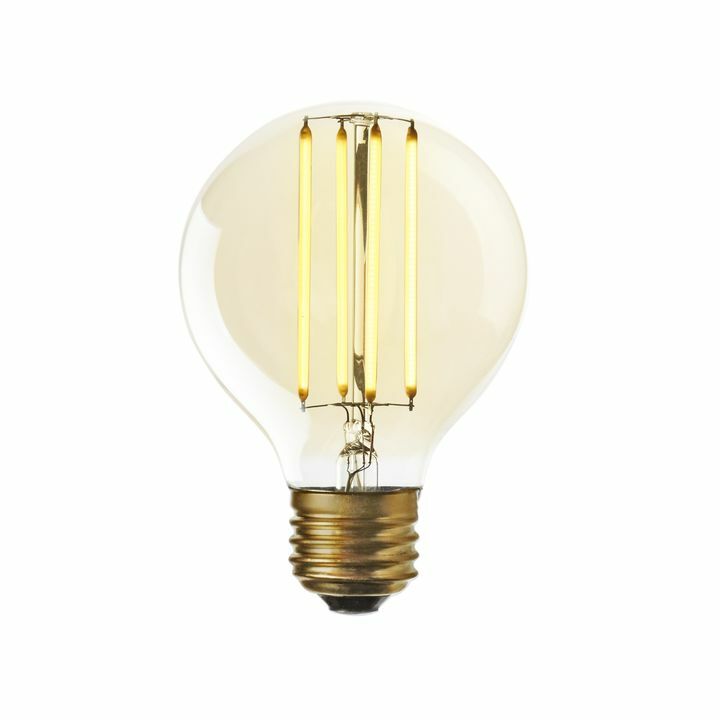 The maximum wattage for the Greenwood pendant light is 40w, but that doesn't mean that you can't have a brighter bulb. An LED bulb uses a lot less energy and can give off a lot more light. For more information about Watts vs. Lumens, please see our handy guide. Is this fixture 120v or 12v? Thanks! 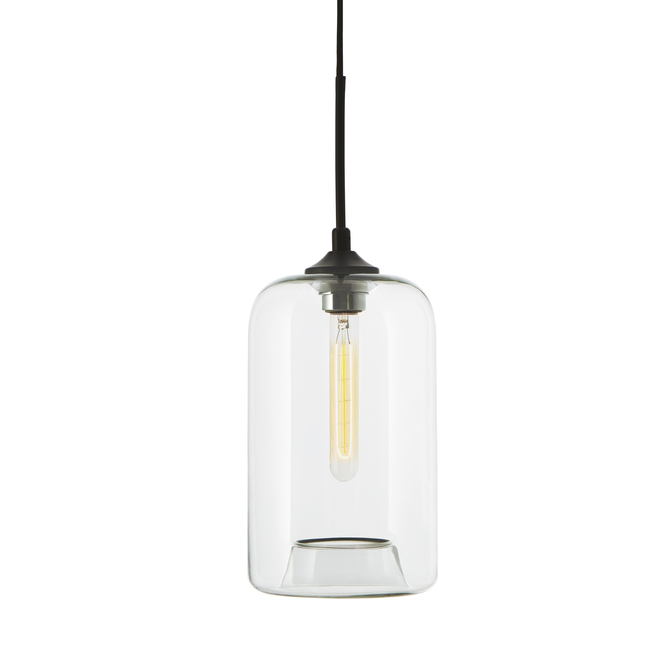 The Greenwood Glass Pendant is 120v. For more information about lamping details, click the Product Specifications tab on this page. Can this fixture be used on a porch in the NYS climate? 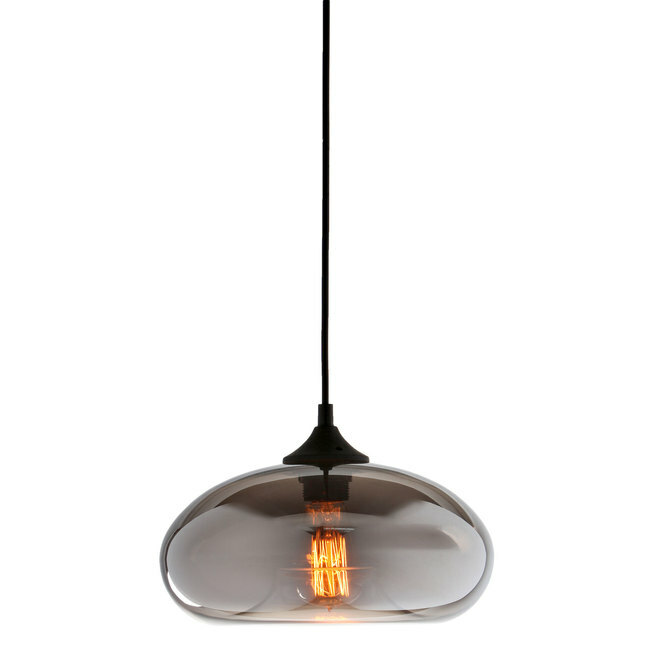 The Greenwood Pendant is rated as "dry-located" and is designed to be indoors-only. Some people have sucessfully modified their fixtures to go outdoors, but those modifications will void the warranty and we don't recommend them. Is this a plug-in type lamp? Sadly there is not though home depot does sell converter kits to turn it into one. Is this suitable for an over kitchen counter work space as a task light? If used with an LED vintage look bulb is the lighting strong enough? This fixture looks great in kitchens. 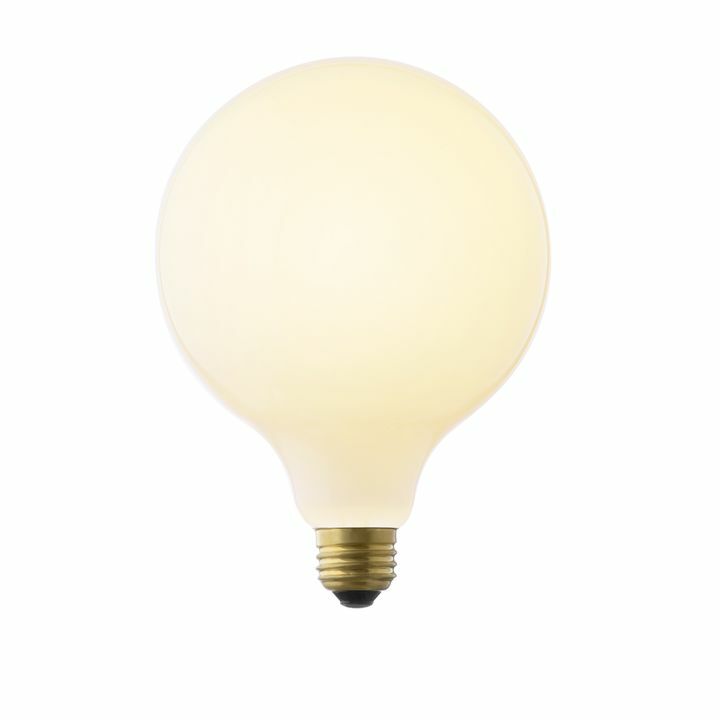 Generally, one of our LED vintage bulbs are sufficiant for lighting kitchen counters or an island. If you decide you want something brighter you can easily swap out the bulb for a bulb with higher lumens. I live in southern california and have an outdoor bar that I'm building. Can I hang these outdoors? 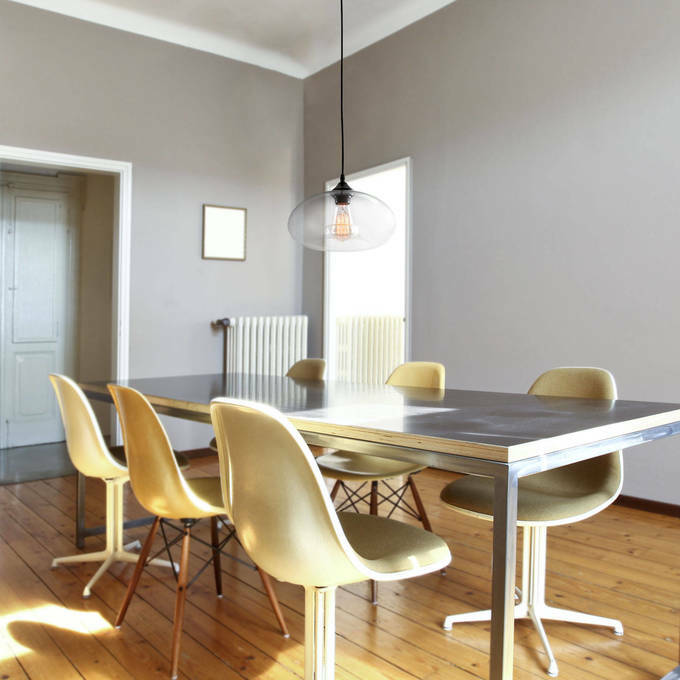 The Greenwood pendant light is rated as "dry-located". This means that it's designed to be inside-only. Some customers have sucessfully made modifications to install this light outside (especially in dry climates). Please note that making those kinds of modifications will void the warranty, so we can't recommend it. The Greenwood Pendant has a maximum wattage of 40w, but that doesn't mean you can't have a brighter bulb! An LED bulb will use a lot less energy and give off a lot more light. For more information about Watts vs Lumens, read our handy guide! Can this be put into a recessed light fixture easily? That shouldn't be a problem, but you would want an electrician to do it. Can I use a different shaped bulb than the one in the picture? 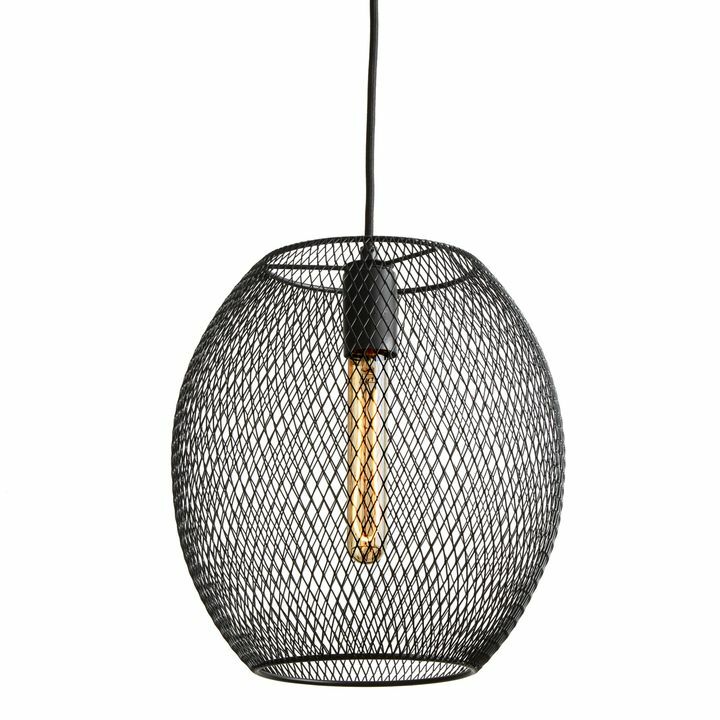 The Greenwood Pendant light needs a bulb with an E26 socket, and has an opening for a bulb that's 3" D or less. You can pick any shaped bulb that fits those guidlines. We really like the look of the Cobble Hill Bulb as an alternative to the Bushwick. What color is the canopy and how big is it? 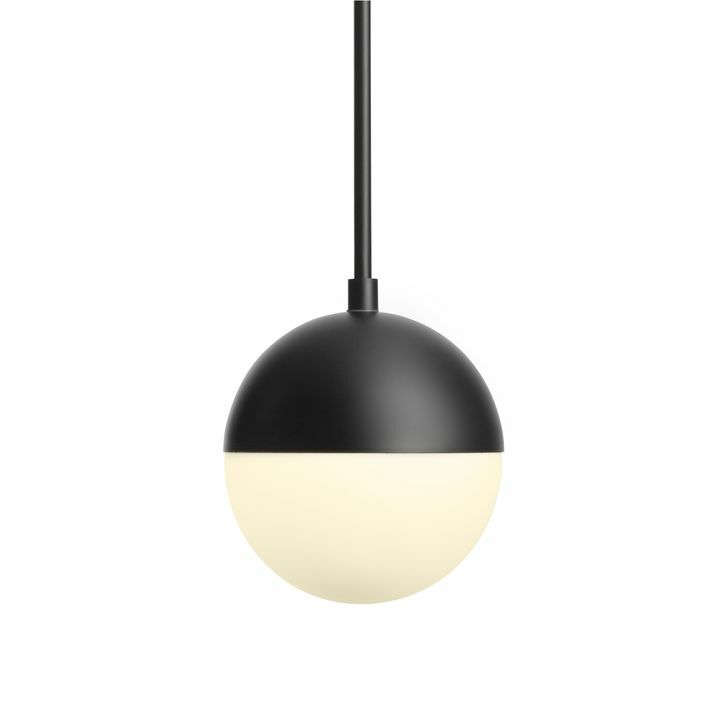 The Greenwood Pendant light's canopy is black in color and measures: 5" D x 1" H.
Can the Greenwood Glass Pendant be ordered with a 60 watt bulb? 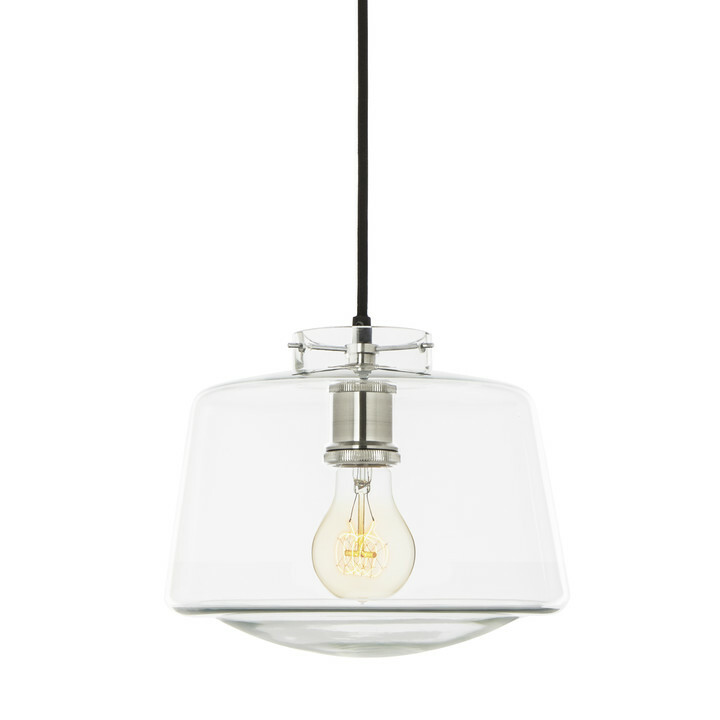 The Greenwood Glass Pendant has a maximum wattage of 40W, so you don't want to use a 60w bulb in this fixture. If you'd like a brighter bulb, you can get an LED bulb that would use less enegry but gives off much more light. What color is the glass greenwood pendant? 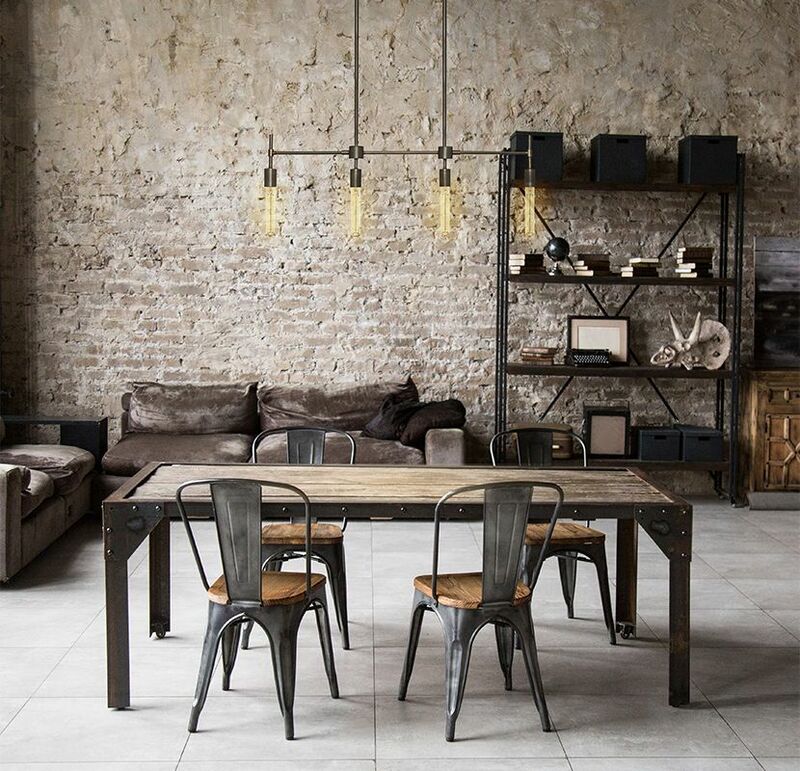 The Greenwood pendant light comes in a clear glass or a smoked glass.